Social publisher NowThis has relaunched its website, which it shuttered in early 2015 to go all-in on social platforms directly. The move comes on the heels of Facebook's sweeping decision last week to fundamentally alter the News Feed and populate it with more user content versus brand and publisher content to enable "meaningful interactions." In early 2015, NowThis went all-in on a distributed Media model, shutting down its website in favor of publishing all of its content directly on social media platforms such as Facebook and Instagram. Nearly three years since, the Group Nine Media-owned publisher has reinstated its website. The revamped NowThisNews.com site went live on Wednesday, Business Insider has learned. A pioneer of millennial-focused, short-form video content, NowThis has long argued against a destination website as being the primary medium of reaching news consumers. Facebook's decision has caused many publishers to stop dead in their tracks and reconsider their reliance on social media platforms. BuzzFeed, for instance, started running ads on Friday to direct readers to its own mobile app, where it has a more direct relationship with them. Business Insider has reached out to Group Nine Media for comment but had not heard back at the time of publication. 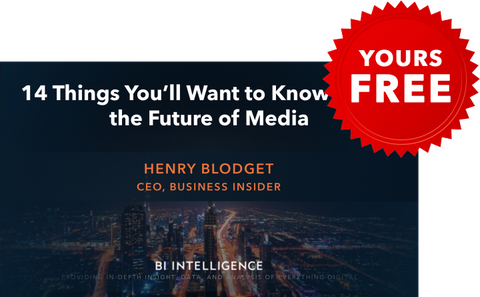 The Future of Media by Henry Blodget and the BI Intelligence Research Team.